Event has been rescheduled due to inclement weather. New date is Sunday, March 3. 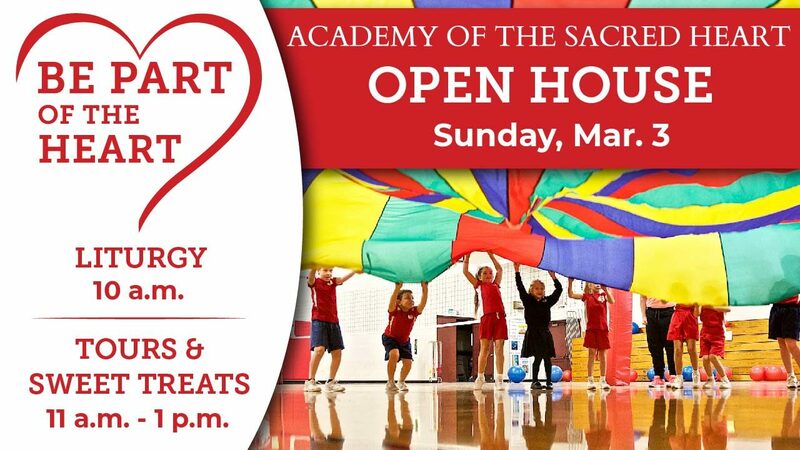 Come be part of the heart during Open House! We’ll have hands-on activities in classrooms, student performances, tours of the school, a hot chocolate bar, sweet treats and more! All are welcome! Bring your neighbors, friends, co-workers—anyone who would like to experience love and learning in action at the Academy.